To make these place settings, first write the names on the eggs. Make sure the eggs are clean and that the surface is completely smooth and dry. Then, either outline the name on the egg with a pencil and go over it with a sharpie, or simply write it with a sharpie. You may have to do more than one coat and go over the lettering a couple times. Let the name dry completely, then attach little pieces of the moss into your nest with some hot glue, into which you will then place your egg (you can secure that with hot glue too). 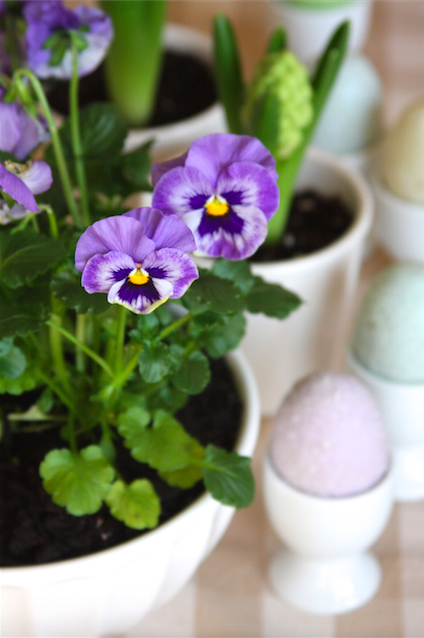 And if you like this Easter Egg Place Setting, check out these other Easter ideas! Thanks so much for stopping by today! Have a great rest of your week!